Born in Ottawa, Barnaby moved to Toronto in 1981 where she was the chef at David Wood Food Shop. She moved to Vancouver to become executive chef at the Raintree restaurant. 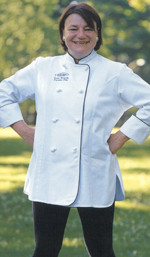 As executive chef at the Fish House in Stanley Park as of 1995, she wrote the cookbooks Pacific Passions Cookbook (Whitecap Books, 1995), Screamingly Good Food (Whitecap Books, 1997) and The Passionate Cook: The Very Best of Karen Barnaby (Whitecap, 2004). She also contributed to The Girls Who Dish It (Graphic Arts Center Publishing, 1998) and The Girls Who Dish: Seconds Anyone? (Whitecap). 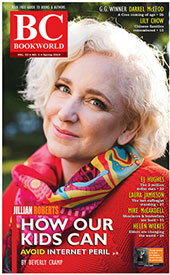 Also a Vancouver Sun columnist, she edited Halibut: The Cookbook (Whitecap 2007). From the executive chef at the Fish House in Stanley Park comes Karen Barnaby's Everyday Celebration Cookbook (Whitecap $19.95), featuring ways to make any meal festive.